Thursday sees two of the more colourful sides in this World Cup face each other, Colombia well-known for vibrant supporters and dancing celebrations while Senegal caught the eye earlier in the tournament with one of the most joyful training sessions you’ll ever see. However, with Group H looking extremely tight between these two sides and Japan, this match is serious business. Poland are already out after suffering two defeats and both Senegal and Japan would advance with a draw apiece on Thursday afternoon. Football betting fans might also have an eye on this encounter as – depending on where all concerned end up in their respective tables – they will face one of these sides in the last 16. After a crazy handball after just three minutes in their opening fixture with Japan, Colombia suffered the worst possible start to this World Cup when Carlos Sanchez conceded a penalty and was red carded. Los Cafeteros never recovered from that early setback and went down to a 2-1 defeat, but they would regroup in time for their next fixture versus Poland. There we saw the Colombia in which we have become more accustomed to, a rampant 3-0 performance seeing off Adam Nawalka’s men. Yet this side still face a very real prospect of heading home and must beat Senegal in order to guarantee qualification, a draw only sufficient if Japan lost to Poland. With this in mind, Bet365 are offering 11/18 that the South Americans make it through to the knockout stages and 6/5 that they fail to do so. Senegal have been a surprise package in the tournament, having registered a win versus Poland in the opening fixture and a 2-2 draw with Japan in the second round. The latter match highlighted exactly what to expect from Aliou Cisse’s men as the African side looked strong going forward yet frail defensively. Given Colombia’s propensity for attack and the fact that their opponent have fired in at least twice in their last six consecutive games, it’s safe to assume that there will be goals here. 888sport offer 7/1 on over 4.5 total goals and 17/1 on over 5.5, either bet worth making given the information available. Mane to Play a Starring Role? 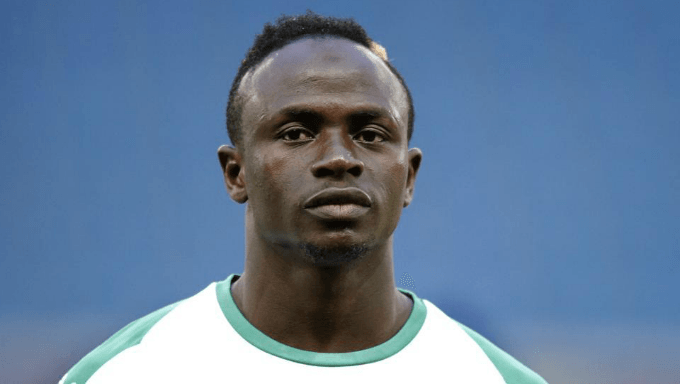 Liverpool’s Sadio Mane has been influential as expected for Senegal, already on the scoresheet with a goal versus Japan. As we saw in both the Champions League final and semi-final, the 26-year-old enjoys finding the net in big matches and there are a whole host of options for betting on his involvement in Thursday’s vital encounter. Once again 888sport is a good site to find those opportunities, the bookmaker offering odds of 5/1 on an assist for Mane and 14/1 to both score and get booked. The Liverpool forward is yet to be cautioned in this World Cup, however accumulated two yellow cards in 11 matches in last season’s Champions League, including one in the final. Furthermore, Mane is 7/1 to score either first or last and 11/4 to find the net at anytime, a bet well worth your time on this occasion. Finally, there are good odds at 22/1 for the player to both score and give an assist and 40/1 to assist twice. Both Napoli’s Kalidou Koulibaly and Juan Cuadrado of Juventus have enjoyed successful domestic campaigns, the former having scored a dramatic last-gasp winner in Turin versus the Bianconeri that saw his side take the title race right down to the wire. That towering header proved Koulibaly’s strength from set-pieces and with this in mind, Karamba offer 27/1 for the defender to fire in first or last and 21/2 to score anytime. Statistics reveal that 85% of 13 total goals and 27 assists for Cuadrado at Juve have been decisive in terms of the final result, the Colombian always ready to change the game at a crucial moment. Karamba offer 33/4 on the pacy winger to score last, a good bet if you are seeking out the man who could truly make a difference to the result.